Speaking of my marriage… Almost twenty years ago, my friend was telling me about his new roommate. “I mean, I like those shows, too, but he really likes them.” Turned out I really liked his roommate. Now there’s arguments over whether my hubs and I can go to Guardians of the Galaxy on our date night or if we have to take our older kids. I’ve learned the difference between the comic universes of DC and Marvel—my brother is Marvel and my hubs is DC. So my kids get Spiderman-related gifts from my brother while my nephew runs around in Batman shirts and has a Justice League lunchbox thanks to me. We gotta keep the balance. Despite all of this, I still have a hard answering one of the frequent questions I get from my kids: If you could have any superpower, what would it be? I default to flying because it’d be like rollercoasters with no lines to stand in for ever. What would you choose? Mara Baranski is living the fangirl’s dream, running a comic book shop that supports her and her ailing mother. She is even given the chance to buy the building—for a dollar. That is, until her dear friend and landlord dies before the sale goes through. Now Mara has forty-five days to clear out her shop or convince the resentful son of the old owner to change his mind—if she can only corner him long enough to ask. Despite being abandoned by his father years ago, Wesley inherited all of his dad’s assets and ambition—but not his gullibility. 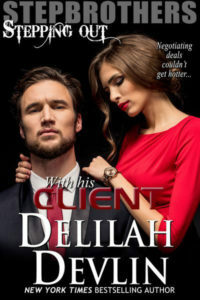 When the tantalizing woman at his nightclub turns out to be the woman who scammed his lonely father, he seizes the chance for a little revenge. But after using a fake name to get close to his target, Wes is soon coming up with excuses to keep his identity secret a little longer. As the forty-five days count down, Mara’s loyal customers swoop in to help save her store. Even more, her handsome new boyfriend is making her believe in happy endings again. Too bad secret identities only last forever in comic books. She had to hunt Wesley Robson down tonight, didn’t want to waste more time on her search. As it was, the night would be too short for decent sleep. Saturday was game day at her comic book shop. Participants showed early and played intensely for hours. Board games, card games, electronic games. She would jump in and play them all, or run around the store helping customers. It was her favorite day of the week, but still a long one. What did Wesley look like, anyway? She would’ve seen him if she’d been able to go to the funeral. By the time she’d found out about Sam’s sudden death, though, he’d been gone and buried. There had to be a picture of his boy online. Just as she pulled out her phone to do a search, someone settled onto the barstool next to her. The deep voice resonated through her bones. She almost groaned. 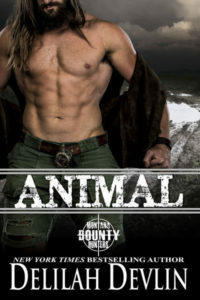 He had the rumble of a rugged man, a primal mating call in her opinion. Admittedly, her last few dates had put the “boys” in fanboys, not men who knew their way around a woman. She peeked at him from the corner of her eye. Her fingers tightened around the stem of her glass. Holy hotness, Batman! He reminded her of one of her favorite superheroes. Jet-black hair, sky-blue eyes nearly glowing under the club lights, wide shoulders. If he wore a cape and had a large S on his shirt, she’d sit on his face. She’d still consider it, given his charcoal slacks and white-striped shirt, which likely had been cinched by a tie all day. The first two buttons were undone and his sleeves were rolled up. What was that style called? Industrial hot-as-hell businessman. She shot him a surprised glance. He gestured to her already half-empty glass. The pink bangs that framed her face dropped into her eyes. She feathered them away. His gaze traced from her hand to her dual ponytails, the plain brown hair streaked with pink. Instead of blond highlights, or lowlights, or whatever stylish women did, she’d chosen pink—because it was fun and girly. One of the few splurges she allowed herself. Her hair often drew attention, not always the flattering kind. But she enjoyed his. “He’s shutting down my store. Tearing down the whole damn building. ‘Upgrading.’” She gave the last word air quotes. His right eye twitched and he stared at her for a heartbeat. Humor drained from his expression and his gaze narrowed slightly. Her heart rate increased at being the object of such scrutiny. She wanted more, but she also felt like she’d done something wrong. Marie Johnston writes paranormal and contemporary romance. Before she was a writer, she was a microbiologist. Depending on the situation, she can be oddly unconcerned about germs or weirdly phobic. She’s also a licensed medical technician and has worked as a public health microbiologist and as a lab tech in hospital and clinic labs. Marie’s been a volunteer EMT, a college instructor, a security guard, a phlebotomist, a hotel clerk, and a coffee pourer in a bingo hall. All fodder for a writer!! She has four kids, an old cat, and a puppy that’s bigger than half her kids.